After the release of the Let My People Go album the amazing story of Darondo continues to snowball. Listening to the radio one day in Spring 2006 Clint Hutchinson heard a story about an obscure, recently rediscovered San Francisco Bay Area soul man called Darondo. Hutchinson was right-hand man to Darondo back in the day. Hutchinson remembered he had been given a master tape to look after by Darondo over thirty years ago. Fortunately the tape was still safe and sound in his attic. Re-uniting with Darondo, Hutchinson handed back the tape and the unreleased tracks are featured on this EP. On this vinyl EP we present five tracks, four of which have never been released. A nice loud cut of "Legs" (for the funk DJs) starts out Side A, and sits next to the previously unreleased instrumental version. On the flip "Such a Night" sees Darondo in ballad mode with a nod to Roy Ayers or Ramp. 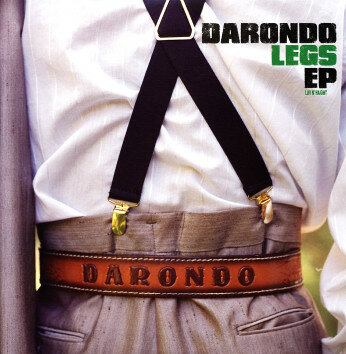 "My Momma and My Poppa" is the original version that Darondo recorded prior to the version on Let My People Go, and the EP is rounded out with the bluesy "Packin ' Up"
To read more about Darondo, click here.